Akothee has revealed something deep in her life she has left her fans shocked. She opens up about a moment where at one point in her life, she threatened her mother that she would commit suicide. She left the maize at the posho mill to meet her crush, the father of her 3 daughters. The following day, she went to her grandmother’s house, where Akothee’s mother went to pick her and she threatened to commit suicide if she beat her. Her fans are very loyal and were quick to fill her in their crazy love life stories. Moffat W Jackson So in 1999 kulikuwa na njaa like in the whole country, in luhya we used to call it,”sava lulala,” meaning nawa mara moja since you could only eat one meal a day,so my uncle and i couldn’t take it, we used to wait for nightfall then hide in corners and scare children away and take their flour as they run…but i repented once the drought ended. Aphines Wafula I used to eat raw dried maize meant for flour on my way to the posho mill.So when I came back the flour is reduced.My mum then started comparing if my brother go to posh mill no reduction but when I was send it was reduced automatically.That’s how I was exempted from going to the posho mill. 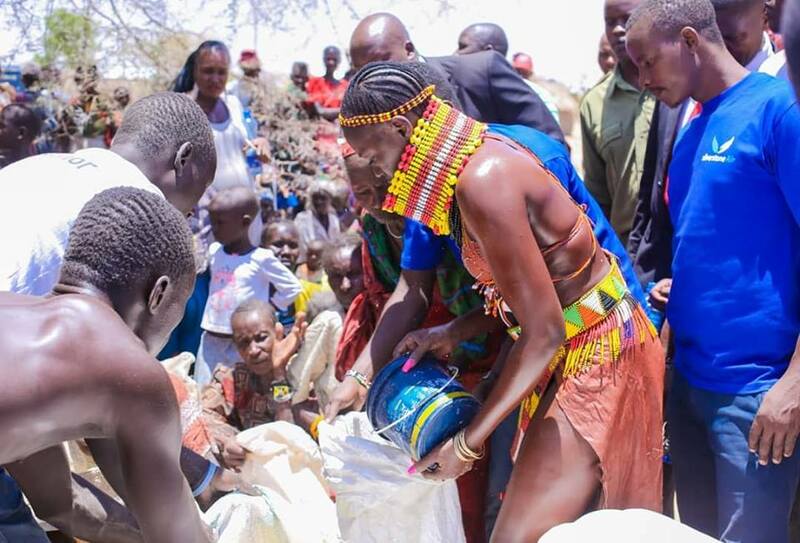 Akothee is now making headlines after helping out her fellow brothers and sister in Turkana who are dying of starvation.